So you’ve already had an automated irrigation system installed by a technician from Landscaping By J. Michael, and now that spring is arriving, you’re wondering what process our technician will go through to ensure a successful Spring Irrigation Open service. 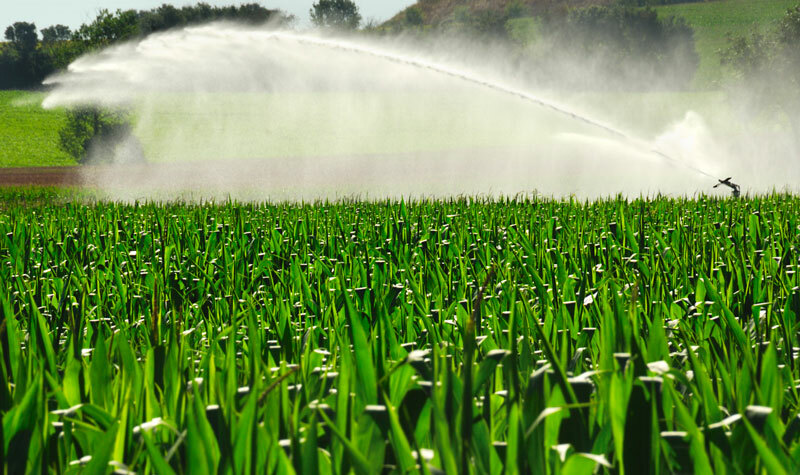 Opening an irrigation system is best performed by a knowledgeable specialist. And of course, to avoid losing the warrantee on your system, it’s important to let our experienced technician handle this responsibility, as our team has years of experience opening, closing and maintaining irrigation systems for both homes and businesses. Before the Spring Irrigation Open process begins, our tech will determine if the timing is right, and run a check of the irrigation and controls program. It’s also crucial to confirm that the soil is frost-free for 12 inches deep, as frozen soil can lead to serious damage to your system. Once it’s decided that your property is cleared for the Spring Open service, the LJM technician will perform all necessary tasks to ensure a smooth transition into the new season. This includes coordinating run times and days with your town’s parameters for sprinkler/water use. Each of our technicians are provided a chart detailing various water codes for every area in which we perform irrigation installations and maintenance. It’s vital to keep in mind that although we would like to set the system to run at the times most convenient for our clients, the technicians must abide by the rules outlined by the town. After adjusting the dates and settings on the controller, the technician will see if it’s time to replace any batteries, check for debris that could potentially obstruct even water flow, and confirm that all manual drain valves are turned to the “closed” position. Once these vital steps are completed, our team is ready to get your irrigation system back up and running, but they must be careful and patient for the next phase. To start, our crew can open the irrigation system’s main water valve, by doing so slowly to allow water to fill the pipes gradually. Valves are a key component to the performance of an irrigation system, as they regulate the distribution of water throughout that system. If the valves are opened too quickly, the sprinkler main lines will be subjected to high surge pressure, uncontrolled flow, and water hammer, (which is just as bad as it sounds!) Experienced irrigation technicians, such as the ones on our LJM team, know how to avoid costly damage. Also at this time, our Landscaping By J. Michael team will walk through each station controller to check for proper operation of the zone, operating pressure, rotation, adjustment of sprinkler heads, and adequate coverage. We will perform minor repairs, note any replacements needed for the system, and schedule major repairs to be taken care of in a timely fashion! By this point, we know you’re eager to start prepping for blossoming flowers and an enviable lawn, but there are just a few more items for our LJM team to check of their list! Before starting up the irrigation system for the first time in the new spring season, our crew will perform a pressure check, to ensure the pressure is appropriate for sprinkler systems. This final step can help to avoid busted valves, leaks, inefficient watering, and cracked pipes. Now, you’re well on your way to having the best looking property in town, and of course, LJM can help to maintain your system throughout the season as needed. If you haven’t already, it’s definitely time you scheduled your Spring Open service, by emailing us at info@landscapingbyjmichael.com or by calling us at 781-834-5700. We look forward to helping you accomplish everything you’ve envisioned for your home or business this summer.